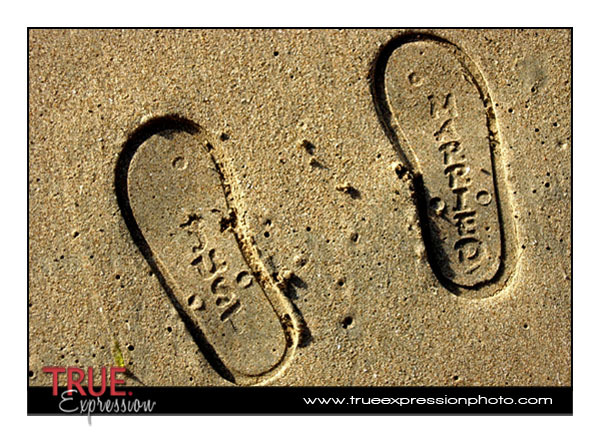 True Expression Photography Blog: Just Married! I have just returned from my honeymoon in St. Lucia and excited to share the details from my own wedding! 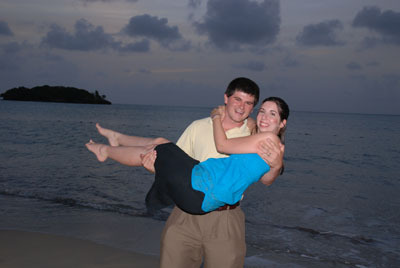 The photo above was taken on the beach on the Honeymoon. My aunt gave me a pair flip flops that made "just married" imprints when you walk in the sand. 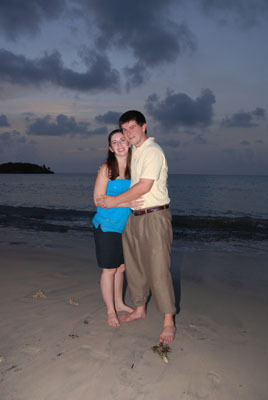 It was lots of fun walking around the beach with them on! Mark and I were married July 5th in Columbia, SC. We met during our freshman year at the University of South Carolina, so we figured what better place to get married than the chapel on campus. The reception was also held on campus at the McCutchen House, which is located on the Horseshoe in the center of campus. It felt like I was planning the wedding forever, but when the day finally arrived, the whole day was absolutely wonderful. I will be posting a few photos from the honeymoon and wedding soon, but for now, here's a few photos taken of Mark and me at a photo shoot we did on the honeymoon. Congratulations!!! I love the footprint in the sand!!! Can't wait to see more!